Large plastic register/row counter. 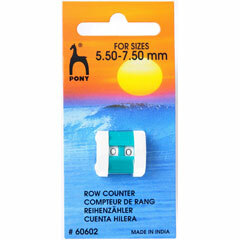 Perfect for keeping count of the rows in your knitting project. For sizes 5.50 - 7.50mm.